What is Child Safety Initiative Campaign? First is the prevention of accidents by teaching and educating parents and kids about possible dangers on the roads. Second is to emphasize the passive safety devices of modern-day passenger vehicles, with special focus on the use of age-appropriate child safety seats. In the Philippines, CSI was introduced at Manila International Auto Show in April 2015. 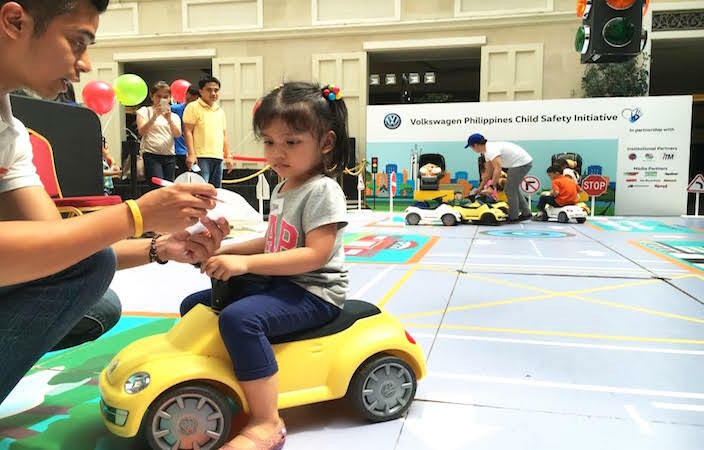 Since then, the campaign introduces early childhood safety awareness to children as young as 4 to 8 years of age and imparts important road safety habits to their parents. The project also provides benefits during the rainy season as both motorists and pedestrians are exposed to increased risk of accidents caused by wet, slippery roads and poor visibility during inclement weather.